It is usually simple to determine the price of most products. All you must do is take your cost to make and promote the item and mark it up. It is a very simple formula. Diamonds, however, do not follow such a simple process when it comes to their cost. There are so many variables that will affect the price of a diamond. The first part of the cost equation is the amount the original rough diamond cost. Then the cost to cut and polish and make the diamond into something that can be sold to consumers is added to the first cost. At this time the cut, color, weight and clarity will be determined. Every time a new process is performed on a diamond the price continues to rise. As it is passed from hand to hand the cost is increased until the diamond finally gets to the store. The price will be added to again at this point. Before a diamond gets to the store, it must pass from the diamond mine, to the person who will cut and polish the stone, to the company that will verify the grade, and then finally to the primary market. Once it is here dealers will buy it where it will be sold to the final retailer. You can see by the flow of the diamond through the chain that the sooner you can purchase a diamond on this chain the cheaper the price. The value of the stone will remain the same but the cost will be lower. If you have a stone with no idea of its value, you can have an appraiser give it an appraisal. It is possible that the appraisal won’t reflect the true value of your diamond. The best way to obtain a value is to get a certificate from the GIA or the Gemological Institute of America. 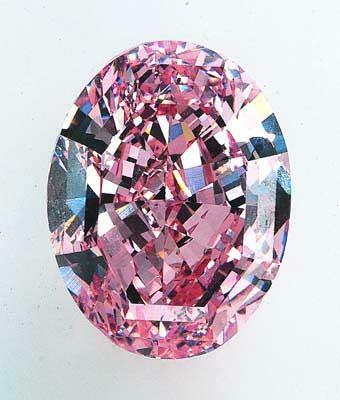 The certificate information and the advice of a cutter you should be able to have the value of the stone determined. There are calculators available for determining the value of a diamond. You can find many of these calculators on the Internet. You will need a great deal of knowledge about diamonds to use one of these calculators effectively. Without the aid of a certificate or grade report you will need to know how the color, cut and clarity add or take away from the value of a diamond. Your best bet is always going to be getting a grading report on the stone. With the information that you will get with this report you can find out the price of the stone using a guide. This is the most accurate way to get a true value of the stone that you have.